Very sound stuff from the World Cup winner. Yesterday we brought you the news that World Cup runner-up Argentina gave their World Cup bonuses to a cancer care unit in Buenos Aires. Today, it is the turn of World Cup winner Mesut Ozil to prove that world class footballers can be good guys too. Before the tournament the Arsenal star pledged to pay for the surgery of 11 sick kids in Brazil to symbolise the 11 members of his team. 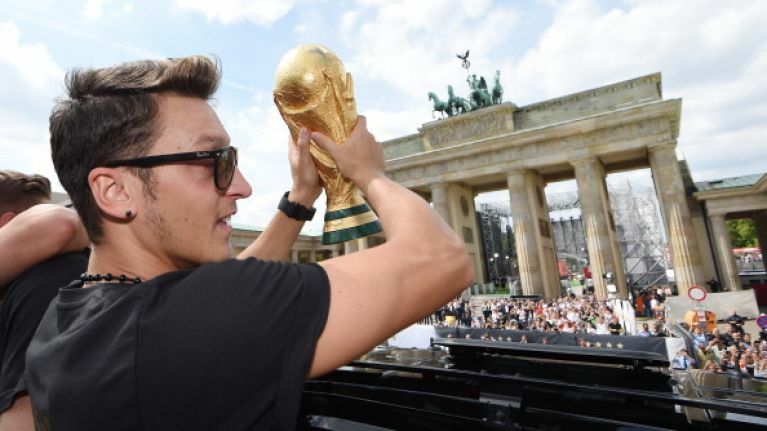 Yesterday, on his Facebook page, Ozil updated his pledge after Germany's victory. Reports of a donation made by Ozil to the people of Gaza have been denied by his representatives.